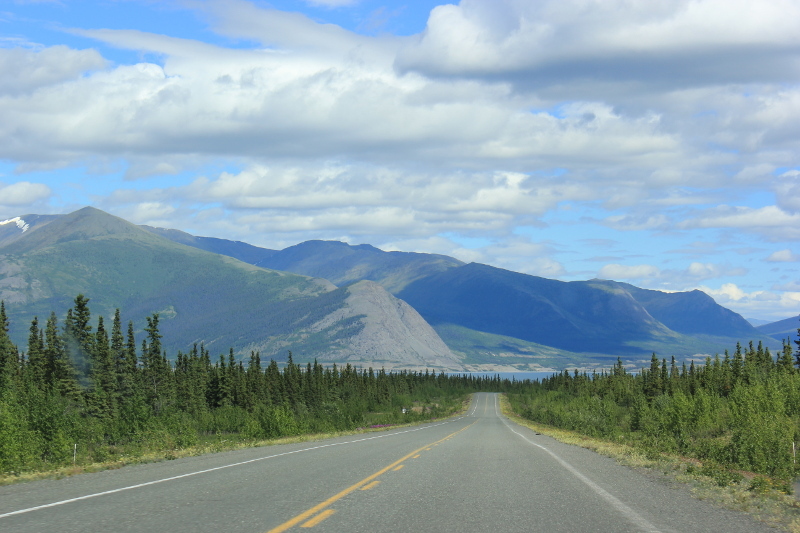 We spent the next couple of days driving! 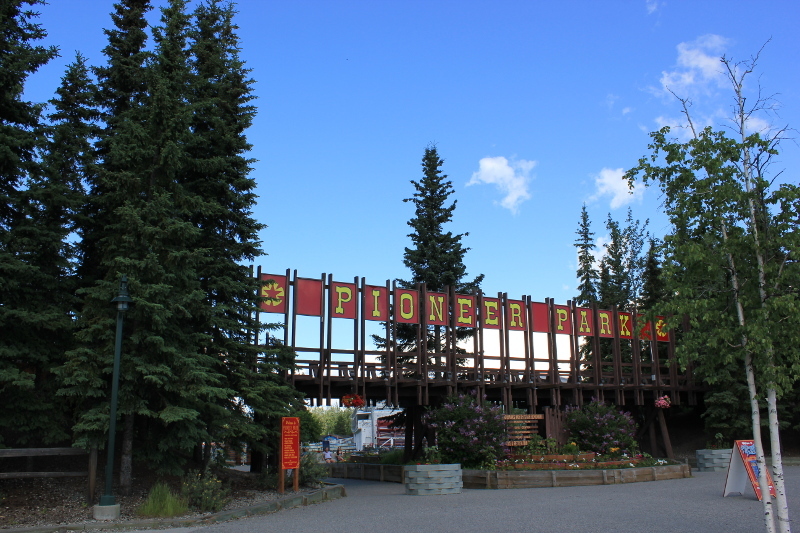 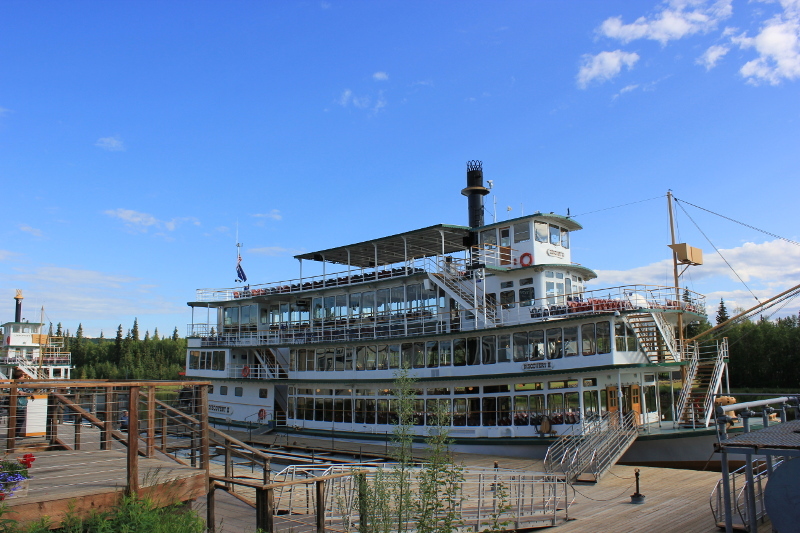 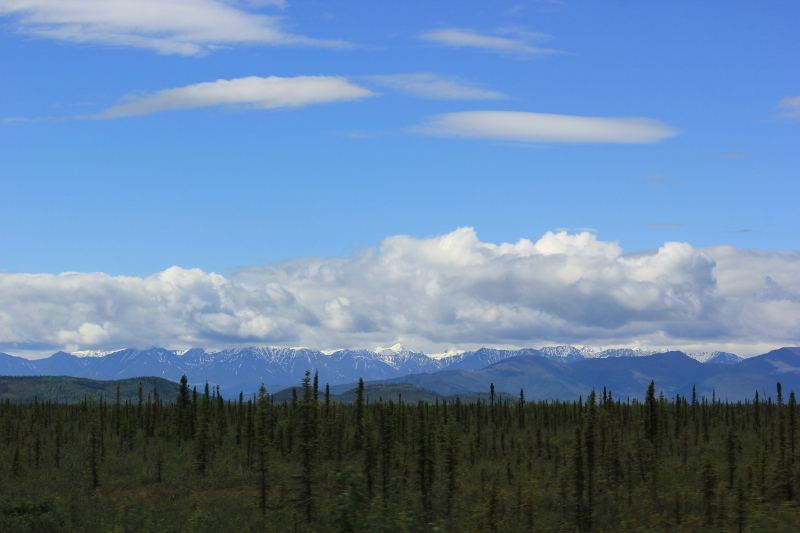 We headed north to Fairbanks which we found to be a large sprawling town where we spent a couple of hours checking out the Riverboat Discovery, the Oil Pipeline viewing on the Steese Highway, the view of the Denali range from the University of Alaska viewing lot near the museum and then stopping off for a quick tour of Pioneer Park. 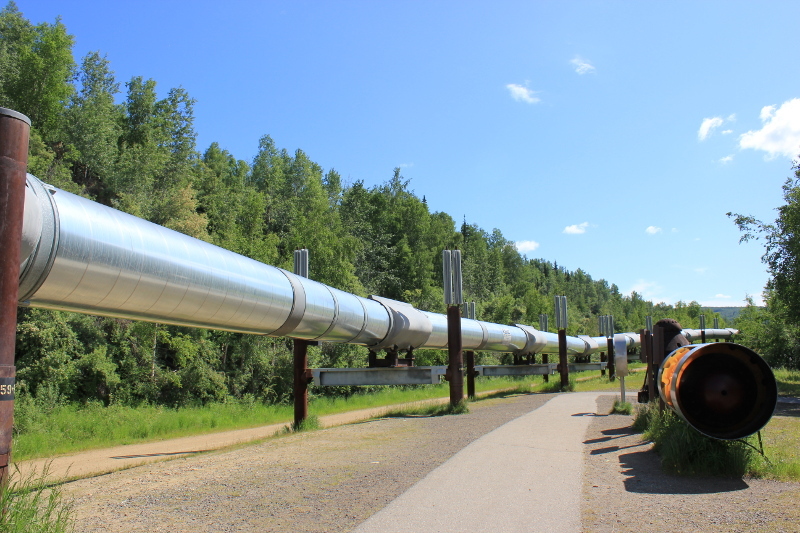 The Trans-Alaska Pipeline viewpoint and information board on the Steese Highway, Fairbanks. 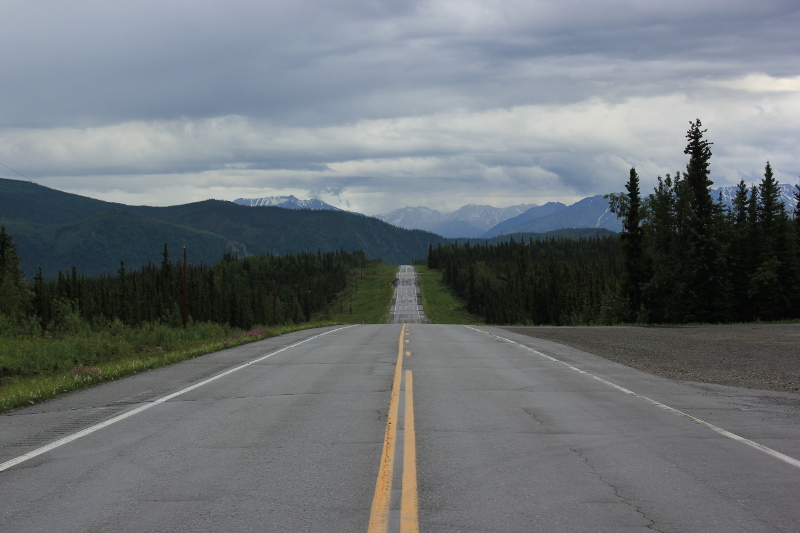 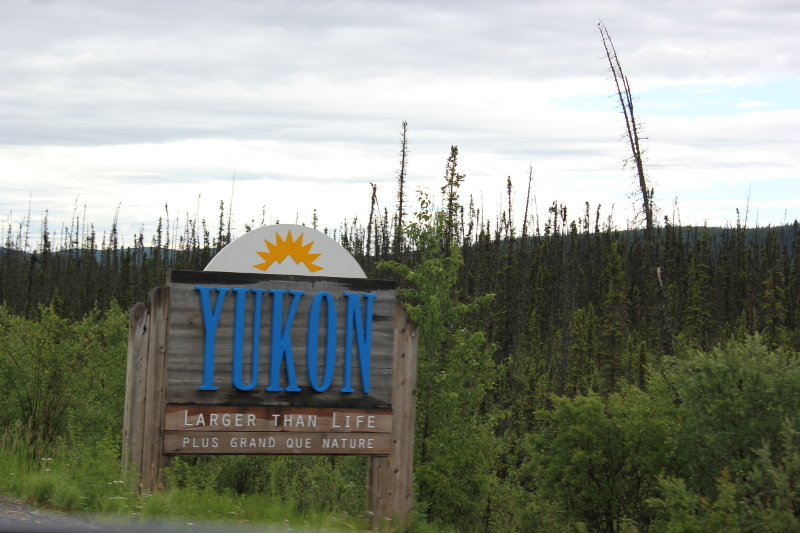 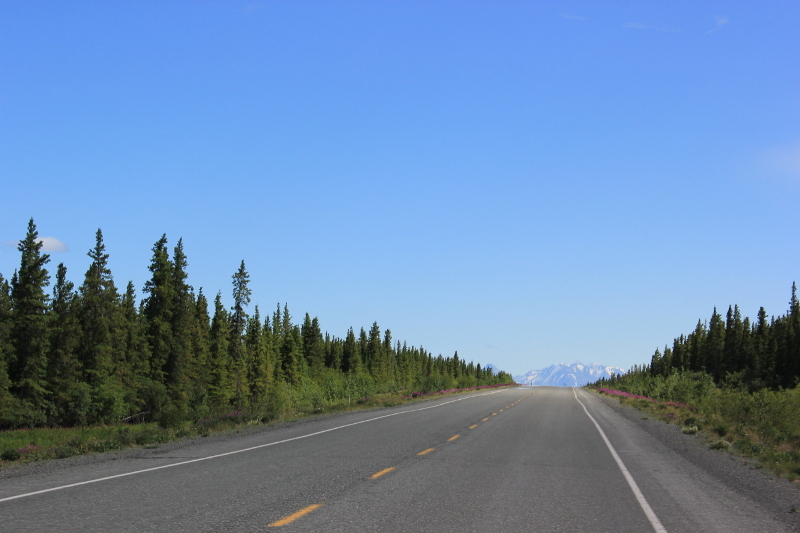 We then headed south on the Alaska Highway through the North Pole. 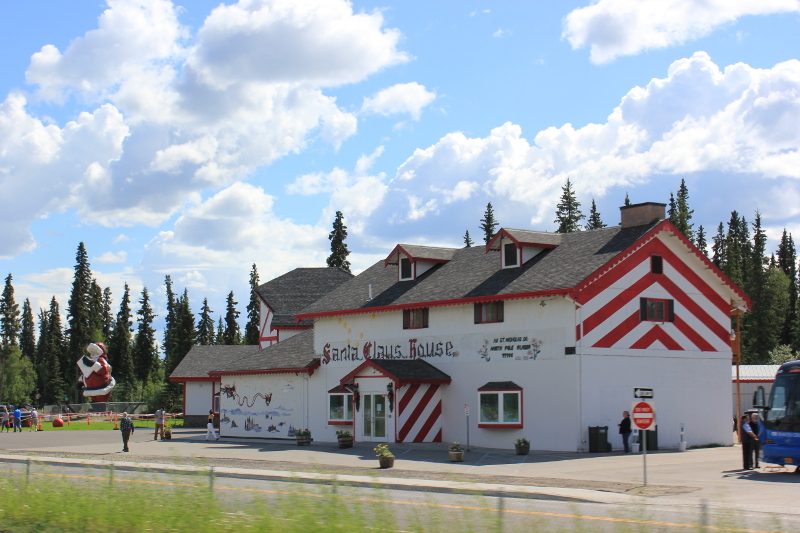 A strange looking place with Christmas decorations and candy cane street lights! 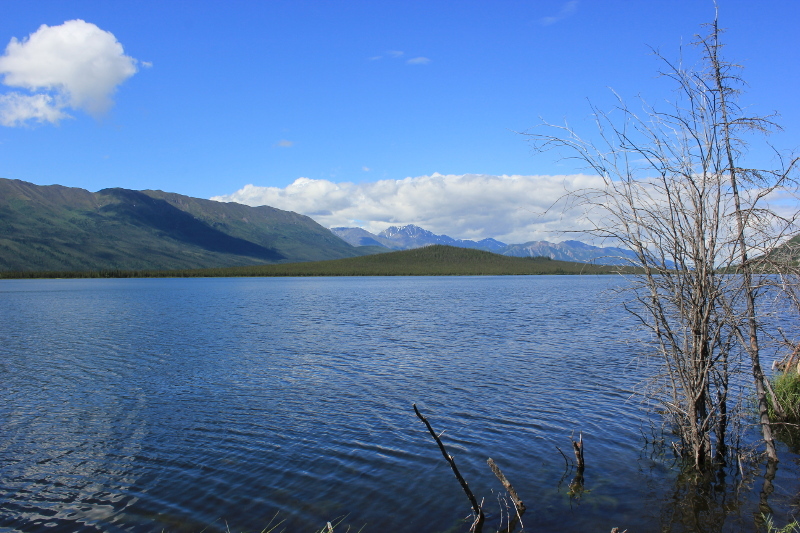 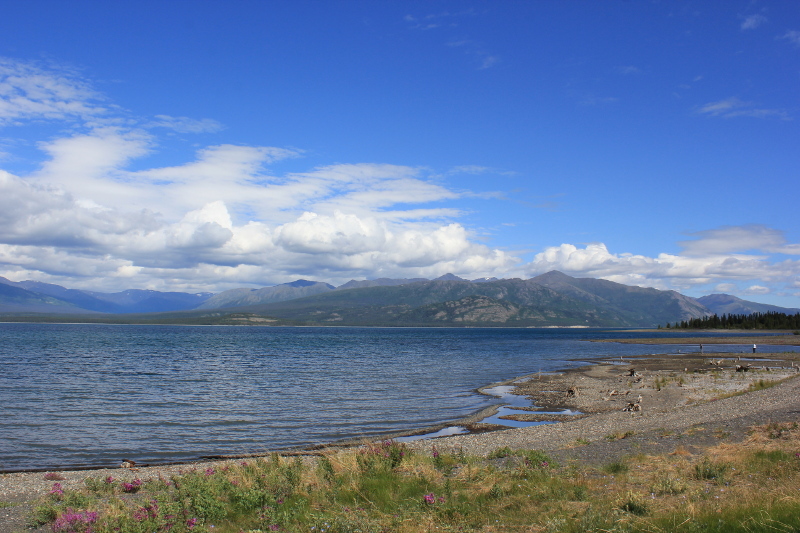 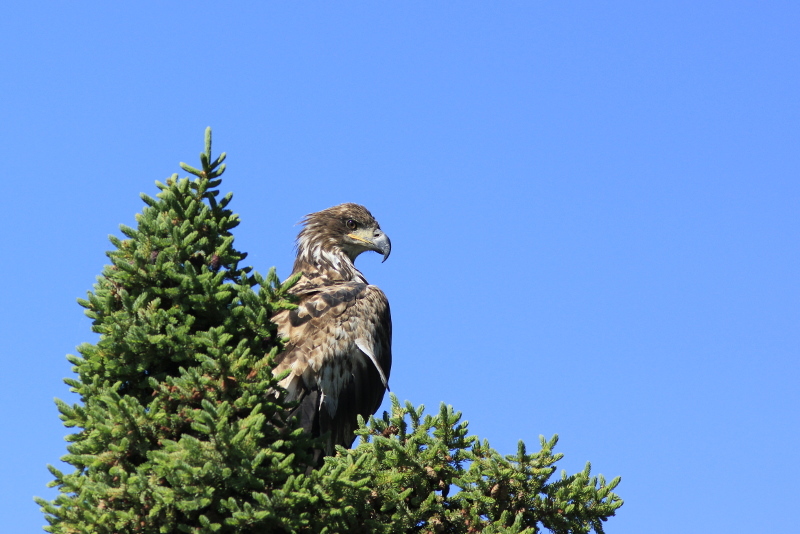 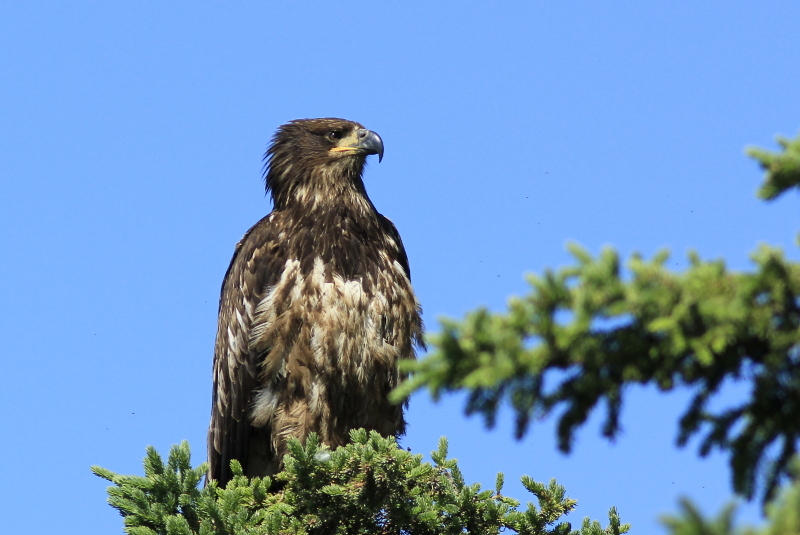 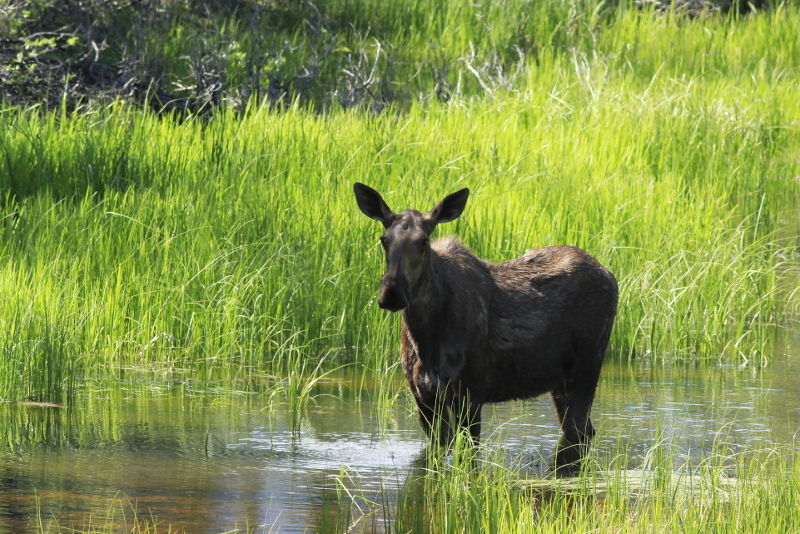 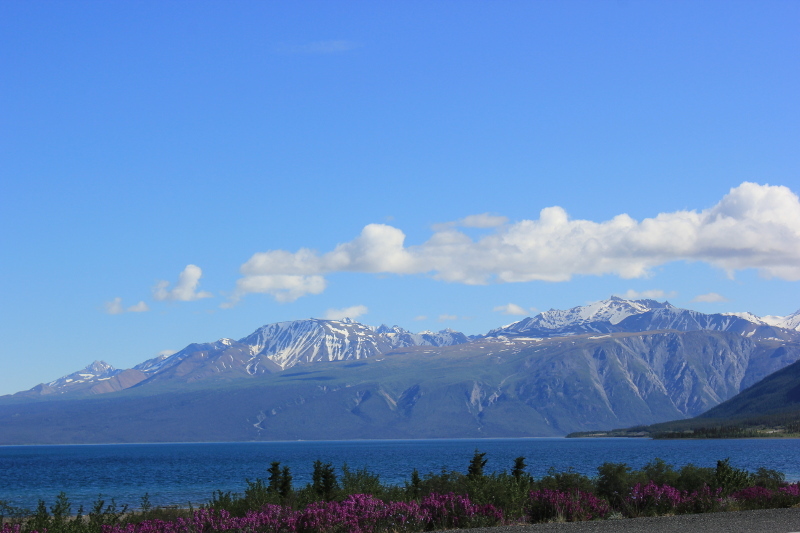 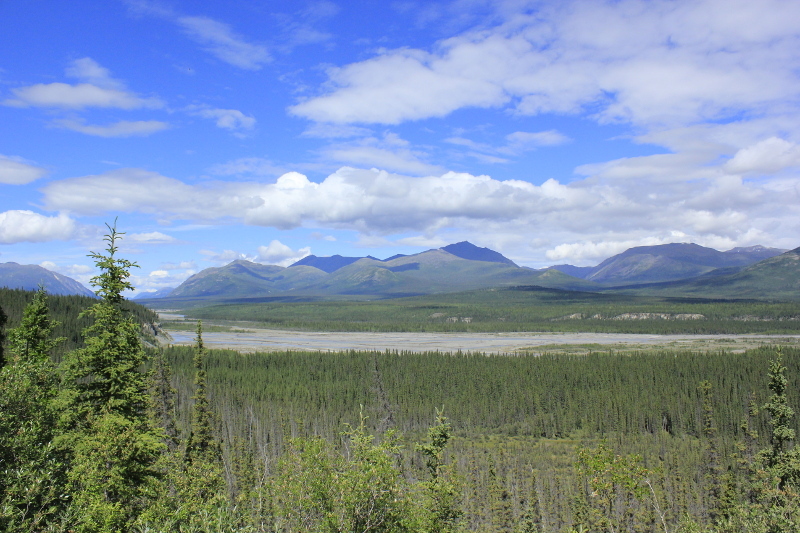 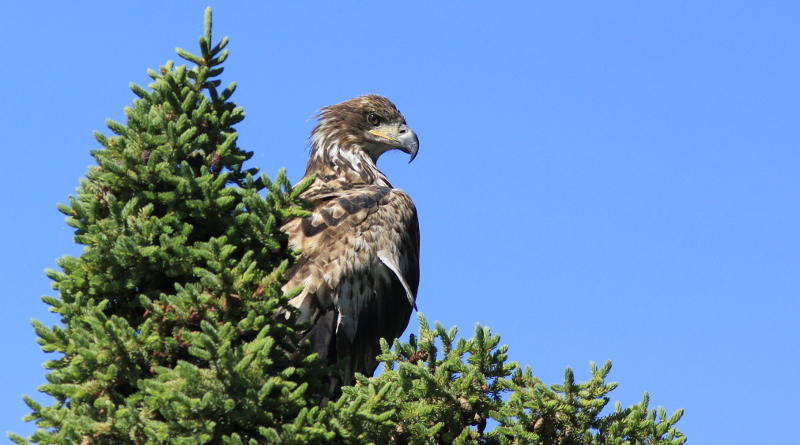 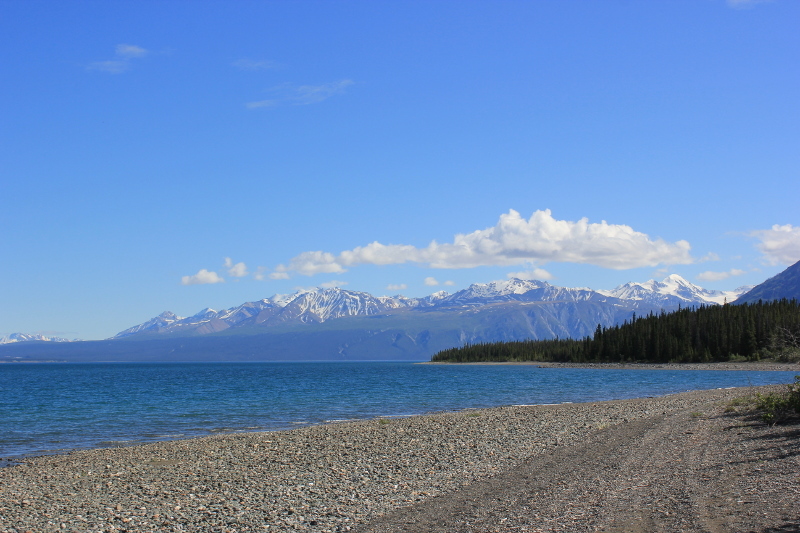 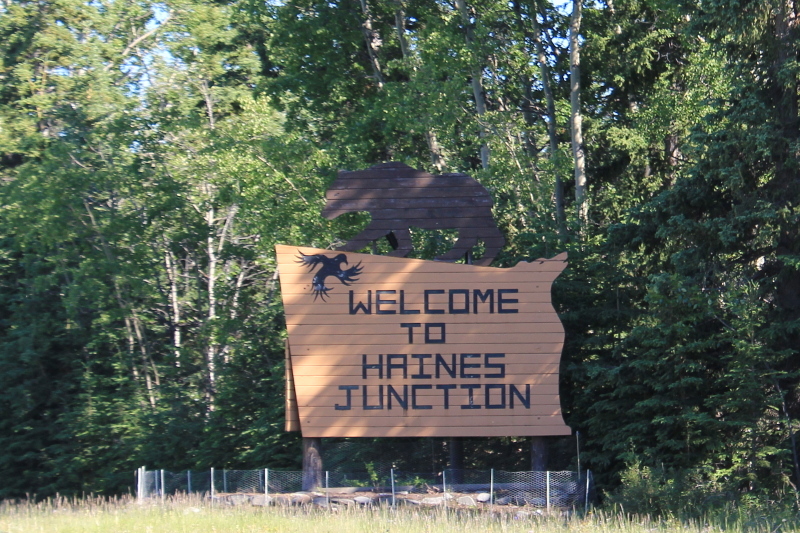 After a short drive down the road we watched a moose……..
Then, we headed to the very sunny village of Haines Junction!